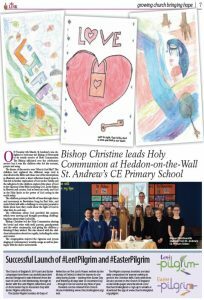 On Tuesday 5th March 2019 the School was pleased to welcome Bishop Christine to lead Holy Communion with the children. We are pleased to share the media report of the visit with you. Next Next post: Singing Success!